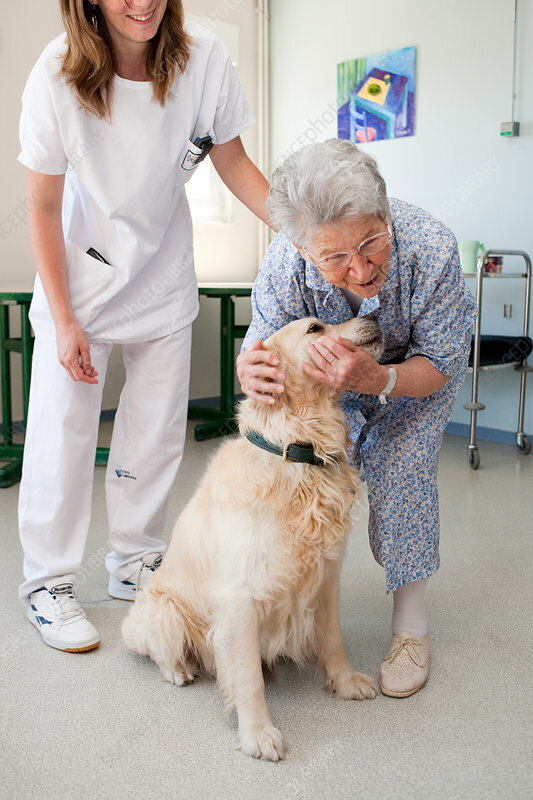 Association of dogs trained visitors to visit the sick and the elderly. Workshop running by volunteer teachers and staff of the institution. Residential home for dependent elderly persons, Limoges, France.